If Love Wagon Wheels, we have a treat for you! 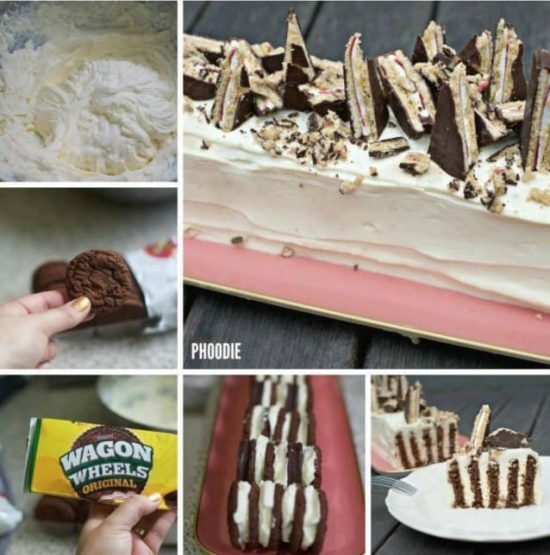 Phoodie has created this amazing Wagon Wheel Cake and you won’t want to miss it. It’s heaven on a plate and tastes great! 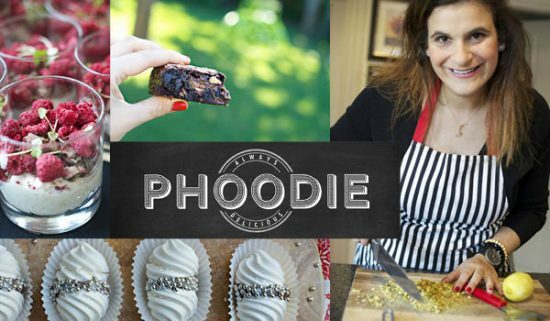 WHOot recipe contributor Phoodie recalls summers spent in the back of her Mum’s car after school, driving to tennis lessons, and eating those delicious Wagon Wheels. Do you remember them? They are legendary! Marshmallow and Jam sandwiched between Chocolate Wheels. They are a favorite even today! 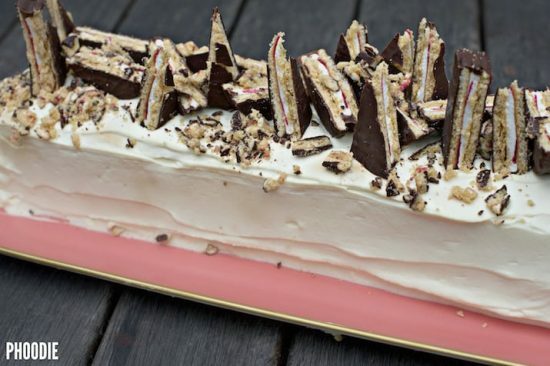 Phoodie loves them so much she’s created a fabulous no bake Wagon Wheel Cake! 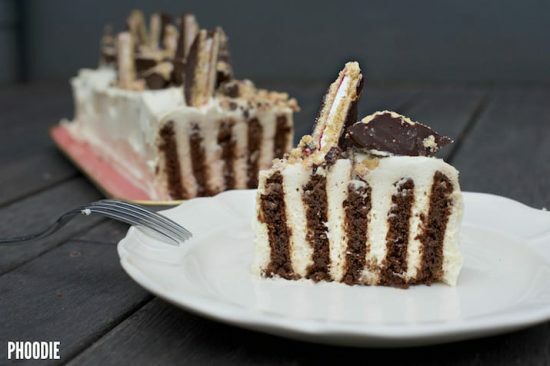 The base of this amazing Cake is Chocolate Ripple Biscuits. It is then slathered with a wonderful icing and topped with crumbled Wagon Wheels. Do we have your attention yet? So, let’s look at what you need for this recipe. 1) Add the icing sugar and vanilla to the cream and whip until stiff peaks form – set aside. 3) Now, as per the photos below, create your first row by sandwiching 4 Choc ripple biscuits, one by one, with a generous amount of cream. Stand these (again, as per the pictures below) on their side and prepare to make row 2. 4) Row 2 is created by sandwiching 2 x mini wagon wheels and 2 x Choc Ripples with cream. Make sure to alternate in this row. So the first biscuit is a choc ripple, then cream, then a wagon wheel, then cream, and then repeat. 5) Row 3 is all Choc Ripples, Row 4 is a repeat of Row 2, Row 5 is all Choc Ripples and finally, Row 6 is a repeat of Rows 2 and 4. 7) Refrigerate for at least 8 hours, preferably overnight and then slice and serve! Phoodies Notes: In other similar cakes you will see that only Choc Ripples have been used, as they absorb the cream, the cake is super smooth to cut. Due to my cake incorporating Wagon Wheels, you will notice that you won’t slice through them as easily. It is for this reason that I suggest serving your guests portions up using a knife AND a spoon!